Posted byRed Lips High Heels November 6, 2015 Posted inWomen’s Roles and SituationsTags: Citizenship in the Arab World, Women Citizenship in LebanonLeave a comment on Because it’s 2015! It's Always an Exception When It Comes to Women's Rights, Isn't It? 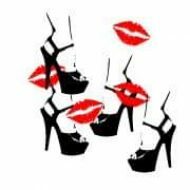 Posted byRed Lips High Heels October 17, 2015 Posted inDialogue, Gender Studies, Human Rights, Violence against Women, Women’s Roles and SituationsTags: Women's rights in LebanonLeave a comment on It's Always an Exception When It Comes to Women's Rights, Isn't It?